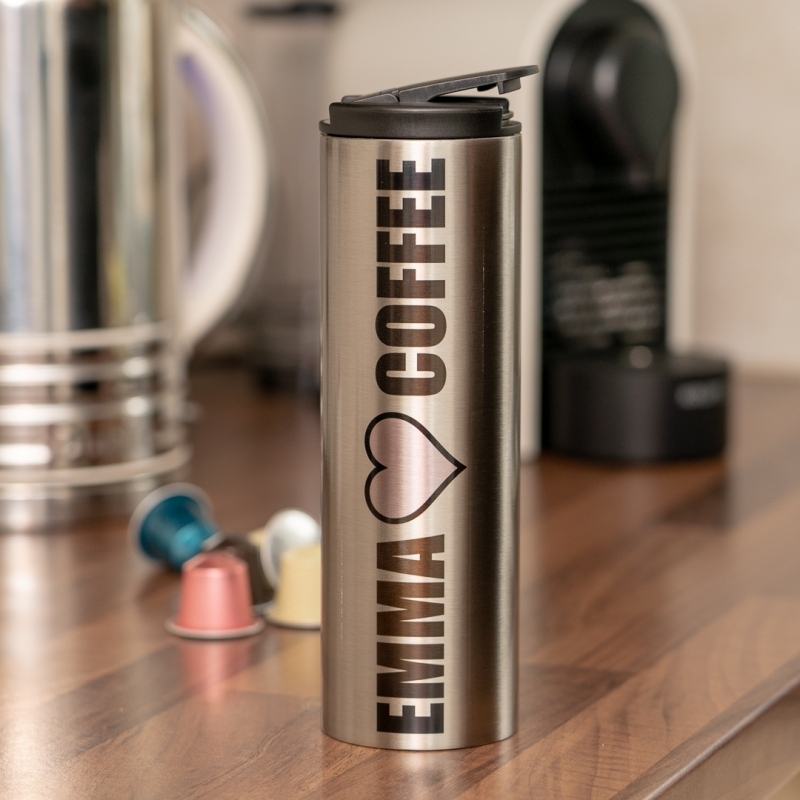 A stylish personalised thermos flask, perfect for taking your favourite brew wherever you go! 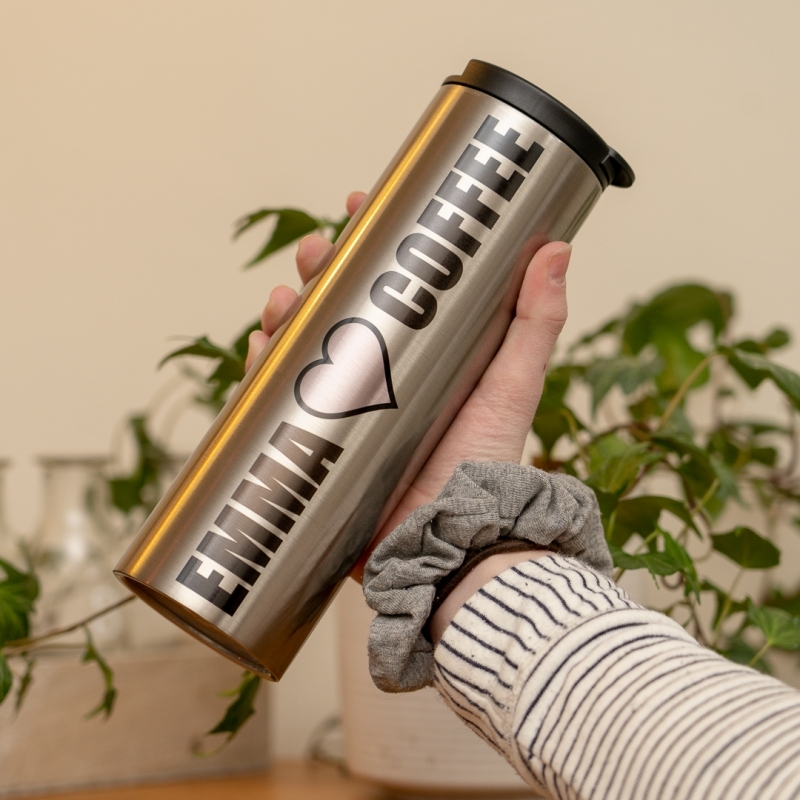 Add a name and favourite drink of your choice with a funky heart design and modern bold font to make this stylish flask your own. The ideal present for a family member, loved one, a friend or even just to treat yourself! 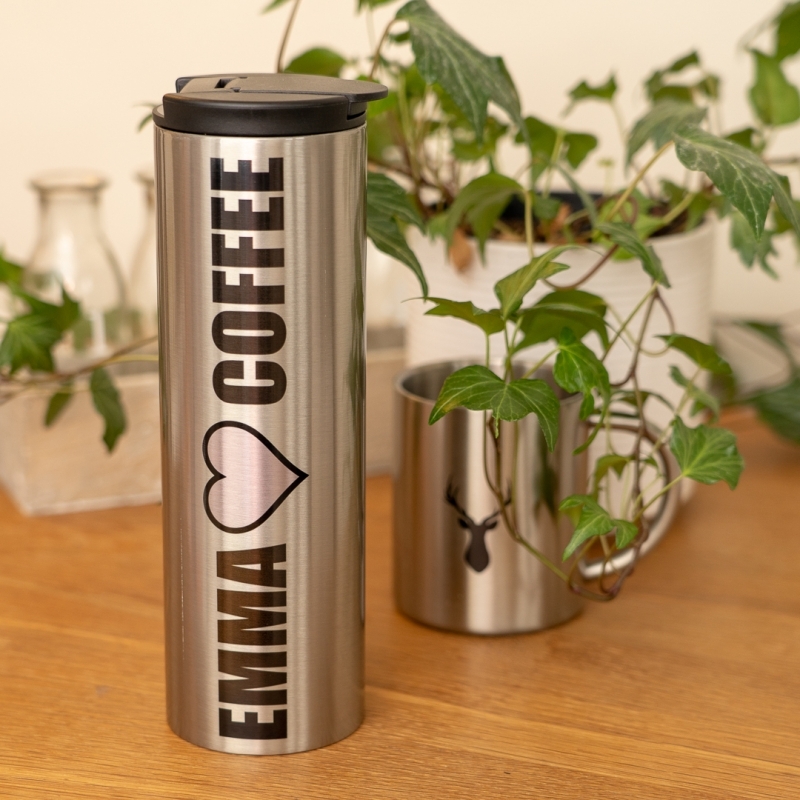 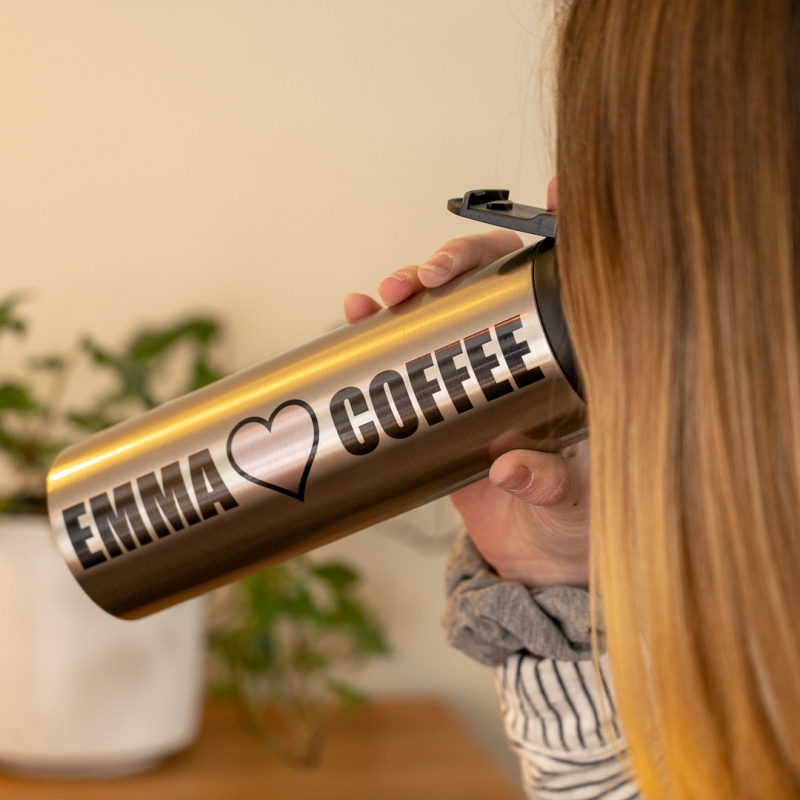 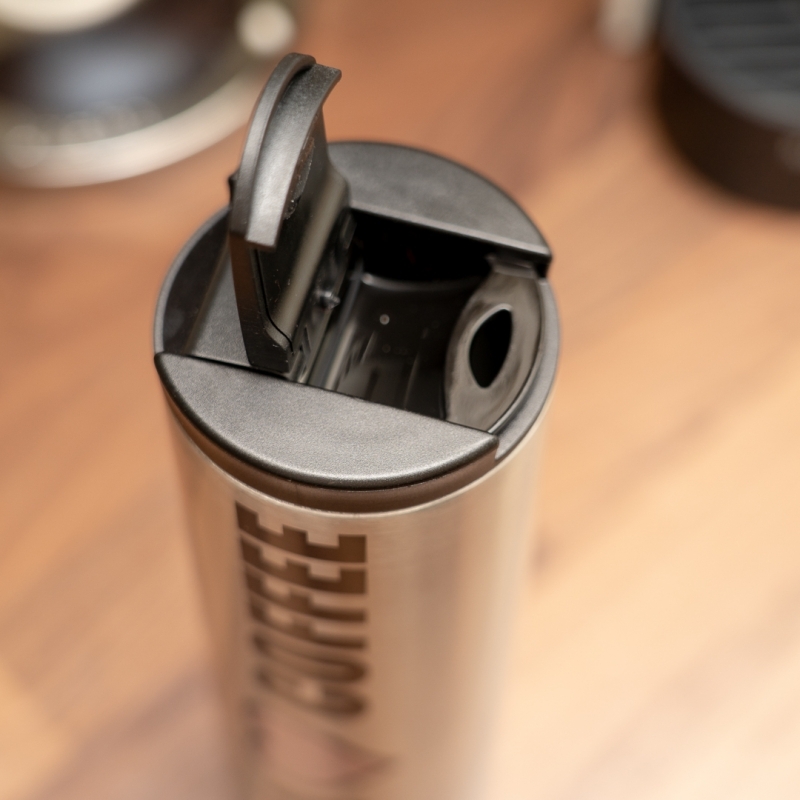 This product has a bright glossy silver finish which is also dishwasher safe with a spill/ leak resistant cap and will keep your beverage of choice 6 hours hot or 10 hours cool.